This short video is a tribute to the amazing wildlife of South Africa. A destination offering a plethora of activities to experience the wilderness like nowhere else in the African continent. Read more below to know why. South Africa is the third most biologically diverse country in the world, after Indonesia and Brazil. It’s surrounded by 2 oceans and though it covers only about 2% of the world’s land area, is home to about 10% of the world’s plants, 7% of the reptiles, over 850 species of birds and 300 of mammals. And last but not least the 15% of the known coastal marine species. Of the 9 biomes (unique vegetation landscapes) of the country, 3 have been declared global biodiversity hotspots. 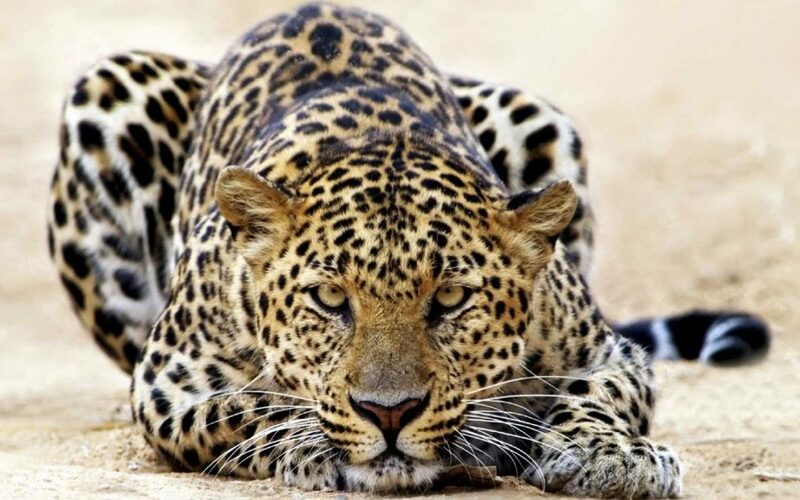 The Greater Kruger National Park (GKNP ) covers a huge protected area of 20.000.000 hectares of unfenced wilderness. For nearly 1/10 of its size, the Greater Kruger is made of private game reserves, no more fenced off from the Kruger National Park. √ Only a limited number of people can stay in the area; this allows a far less crowded safari experience and gives a way higher wilderness feeling. √ With no more borders between the Kruger NP and the GKNP, there’s a huge variety of animals roaming free, providing excellent opportunities for photographic safari. √ Accommodation in the GKNP is more exclusive, with smaller camps, great service and a much better safari experience. Guides are better paid than in the Kruger NP, therefore the best of them often work in the private reserves rather than in the park. A sort of transitional zone, between central and northern Kruger. The main feature of Balule is the Olifants river. This makes of this reserve a prime birdwatching area. The thick bush and the shortage of roads don’t help animal spotting, especially in the rainy season. This is however an ideal habitat for the endangered black rhino. Quite a few people live in the reserve and at some lodges one has the feeling to live in the bush rather than just visiting. Accommodation is usually affordable. This reserve has always been fenced off from Kruger, but times are now a changing and fences are supposed to be dropped soon. Large roads and the vicinity to the quite busy R40 don’t make of Kapama our first choice, although the Karula lodge is stunning. 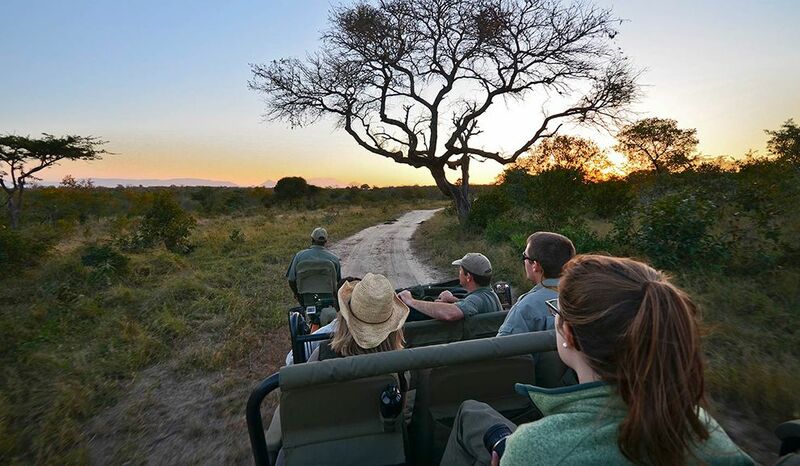 One of the largest privately owned reserves in South Africa, bordering with Timbavati but for some reasons considered to be less exclusive, then less expensive. To our opinion, game drives are just as good as on the other side of the road. For walking safari experience, try Africa on foot. 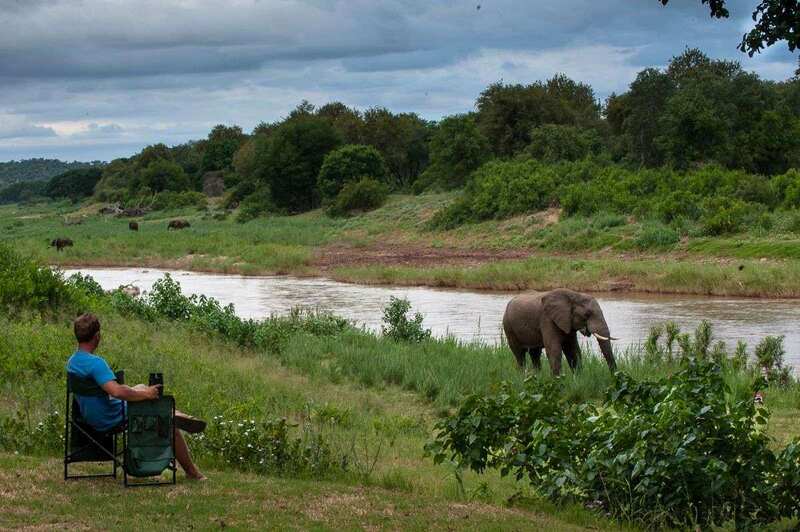 This is considered to be the most exclusive private reserve of the Greater Kruger after Sabi Sands. It’s famous for the legendary white lions, but do not expect to see them, although they occur here more than anywhere else in the wild. Great leopard spotting though. The bush is very thick and mostly made of acacia trees. There’s an incredible amount of game, including the rare king cheetah and the endangered black rhino. Thornybush has recently joined the Greater Kruger by dropping its fences with Timbavati. There’s a wide variety of lodges and camps, suitable for all pockets. Arguably the most exclusive private reserve of the Greater Kruger and probably of all South Africa. Sabi Sands incorporates the reserves of Mala Mala, Djuma, Lion Sands, Sabi Sabi, Londolozi, Singita and Ulusaba. The Sabi and the Sand are perennial rivers running through the area providing diverse habitats for a huge range of game. 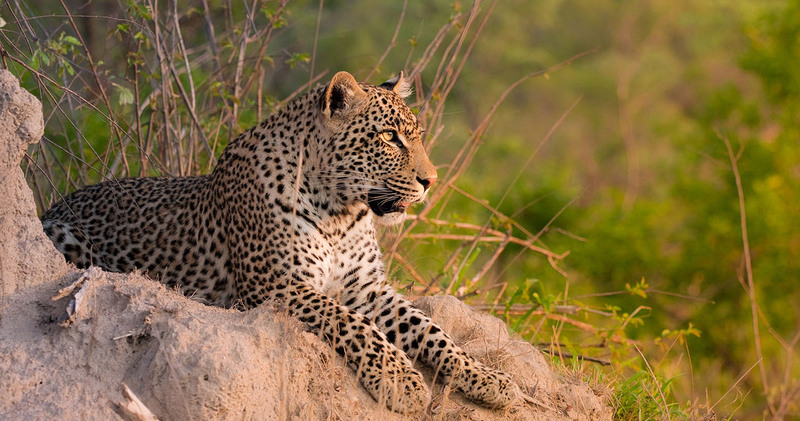 This is one of the top locations in the world for leopard spotting. Difficult to make a quality ranking, although the game drives at Mala Mala are really hard to top up. There is never a bad time to visit Kruger, and each of the two major seasons has pros and cons. In winter (May to August), animal spotting is easier as the vegetation is less dense and animals tend to gather around waterholes and perennial rivers. In summer (October to April), the bush is greener and thicker and water available more or less anywhere. Game tends then to be more sparse then. On the other hand, this is the best season for birdwatching and to see newborns. Besides self-driving, you can choose from a quite a long list of activities in the park. Almost half of the size of Kruger is zoned as a wilderness area. This is where the KNP runs wilderness trails. It is definitely a must for the real passionate of outdoor adventure, looking for the real thing. Being on foot makes you feel part of the environment and not removed from it, as when you spend your time in a vehicle. Here you see, smell, hear, touch, feel and even taste wild things. While driving is a visual experience, walking is by all means a sensual experience. Game drives in Kruger NP cannot compete with those of private reserves, not even getting close to it. We think self-drive remains the best option, however you may upgrade your experience by booking an open vehicle for sole use. Also bear in mind you cannot drive around after gate closing time. Because of that, you may then consider to join a guided night drive. 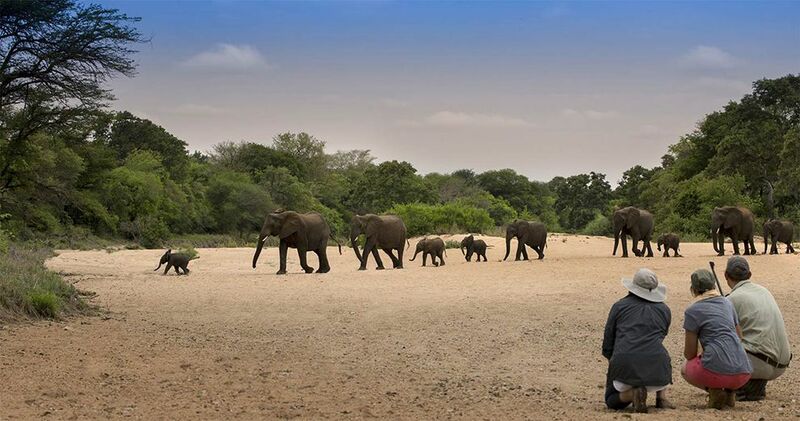 They usually start between 19:30 and 21:00 and are shorter than classic morning and afternoon game drives. Most of Kruger’s camps provide guests with the opportunity to take part in daily early morning and afternoon guided walks. Up to 8 guests are taken out to explore the surrounding wilderness areas. The walks are relaxed and escorted by two armed rangers. You must wear comfortable hiking shoes and neutral colors. No children under 12 are allowed. In a nutshell, the ultimate wilderness trails, for which a reasonable level of fitness is required. Hikers will be exploring pristine wilderness areas with no facilities. There’s no designated route, the field guide will brief the group daily about that. You can bring along only biodegradable products – soaps and detergents – on these trails. This activity is currently only available from Olifants camp. Mountain bikes are supplied as well as backpacks, water bottles, bicycle helmets (compulsory), snacks and juice. Only 6 bikers can join the trail at a time, escorted by two qualified and armed field guides. Depending on the route taken, the trails vary from 3 to 4 hours. Full day trails are also available, but only for fit and experienced cyclists. No persons under the age of 16 years can join these trails. 4×4 trails allow the visitor to get off the beaten track and explore territories of the park that are rarely seen. 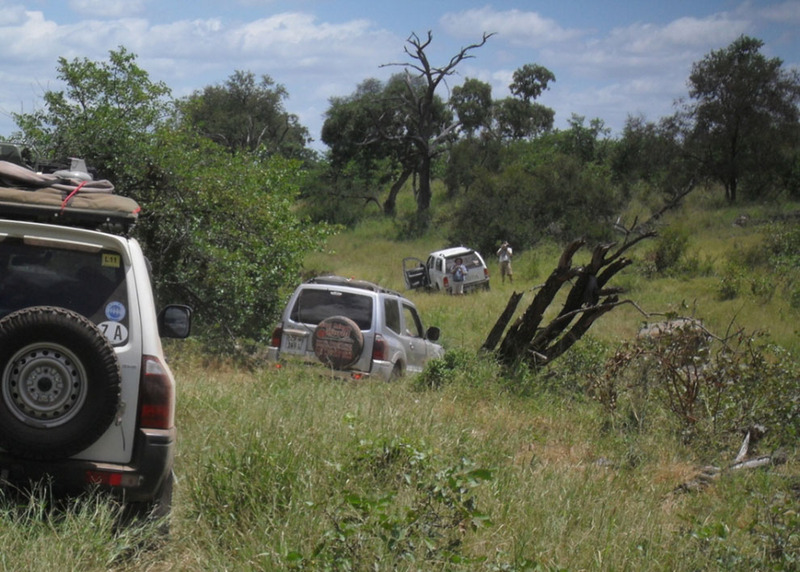 The Mafunyane 4×4 Eco-Trail is a 4 day / 3 night self-catering guided adventure between the Olifants and Luvuvhu Rivers. The trail route covers a distance of approximately 270 km and all participants drive their own 4×4 vehicles. And to be self-sufficient with regard to camping equipment, food, water and firewood. A knowledgeable and professional trail guide will lead the trail and provide the necessary interpretation en route. 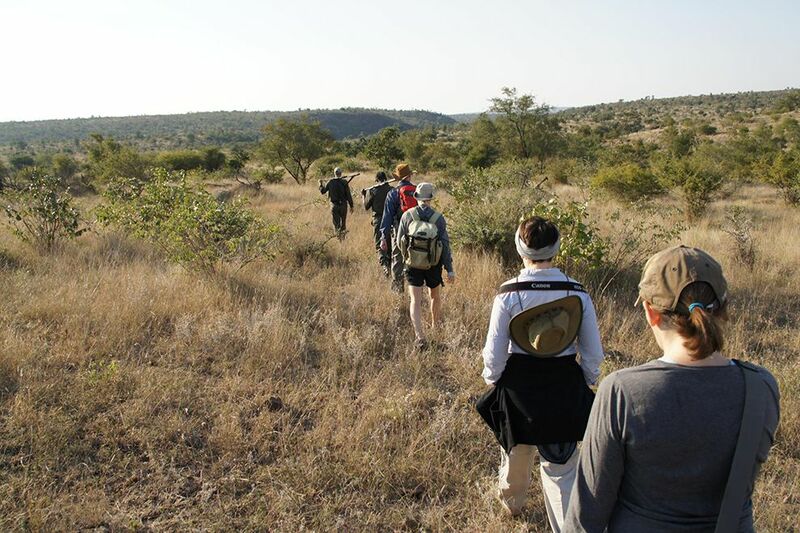 The trail departs from Phalaborwa Gate every Thursday afternoon (at 12:00) and ends at Punda Maria Camp on Sunday morning, from March 1 to November 30. Only 5 vehicles plus the guide vehicle can join the trail at any one time. Strictly speaking not a 4×4 challenge, this ecotrail may have occasional patches that require a 4×4 vehicle. The park’s management can close the route due to heavy rains. 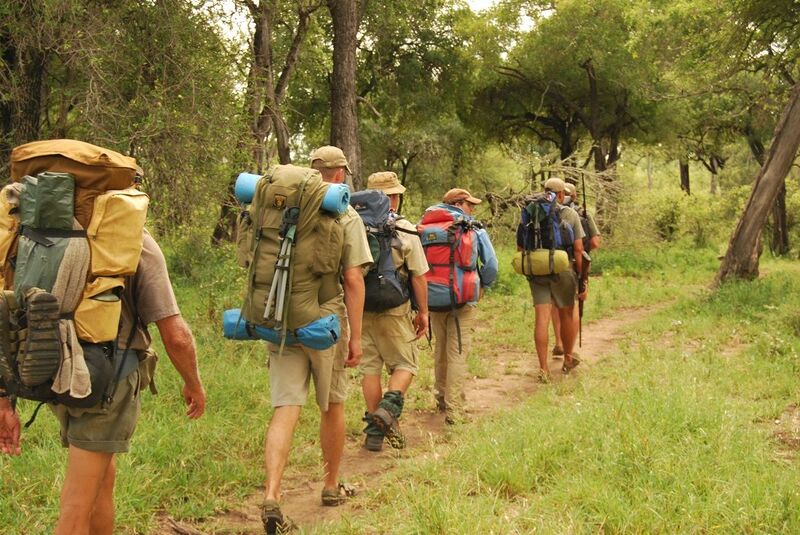 The trail departs from Crocodile Bridge every Sunday and ends at Pafuri on a Thursday (April to October). A guided one night trail along management roads north-east of Phalaborwa Gate up to the Letaba River. This route allows the tourist access to remote areas not frequented by many vehicles.